Home / Blog / Leave a Legacy / What Types of Olive Trees Do We Plant? At My Olive Tree we are diligently working to better serve you by providing information about our projects. 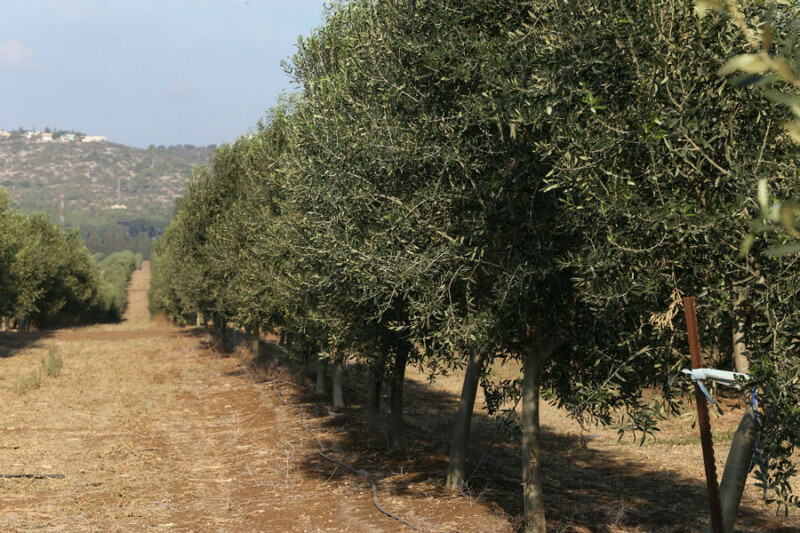 As such, we wanted to share a little bit about the types of trees we plant on the My Olive Tree groves. We’ve provided a simple breakdown of the three types we currently plant. The Syrian olive is quite popular in Israel; the oil produced from these trees has a high content of anti-oxidant substances and is rich in aroma and taste. The Syrian olive tree has been in Israel for thousands of years and was named after the city of Zor which is believed to be this variety’s initial origin. The Garden of Gethsemane in Jerusalem has trees that are 1700-2000 years old! The Coratina olive is of an Italian origin. It is considered to be part of the early ripening varieties; its fruit is typically harvested in October and is most generally picked while it is green. This leads to a strong “grassy” aroma. The Coratina is suitable for both super intensive plantation and intensive plantation. The Fishulin olive is of a French origin. It is considered to be part of the late ripening varieties; the Fishulin is typically harvested in December. Its large fruit is thought to be somewhat bitter and is preferred by those who regularly consume olive oil or enjoy a strong taste. We want to thank you so much for your generous donations over the years. It is only through your help that we have been able to reach out and touch the nation of Israel in such a unique way. You may say, “What has this planting achieved?” Our response would be exponential growth! Because of My Olive Trees commitment to plant, doors have continued to open to us over the years. We are like no other restoration program in the country. In fact, we are honored to celebrate a unique partnership with the Israeli army, who is now the soul provider of the water and irrigation systems for these trees. Not to mention, in most recent news, the City of Jerusalem has invited us to partner with them in an incredible way. They have asked us to restore the King’s Valley. Located just outside of the Eastern Gate of the Old City, this is not only a historical site of great significance, but we believe it is a key place where the coming Messiah will place His feet as He prepares to enter that same gate. If you would like to learn more about this new development with the City of Jerusalem, check out our King’s Valley Seven Species Project HERE. If you are curious to know more about who we are, and why we choose to partner with the nation of Israel through this restorative agricultural process, please join us at our website here.